Your product FIXIT Sculpt was suggested to me by an artist friend for use on an upcoming public sculpture project. The project, TREAD is a temporary sculptural installation, that at low tide depicts a pair of deer perched atop stilts, walking among an abandoned piling field in Casco Bay in Portland, Maine. 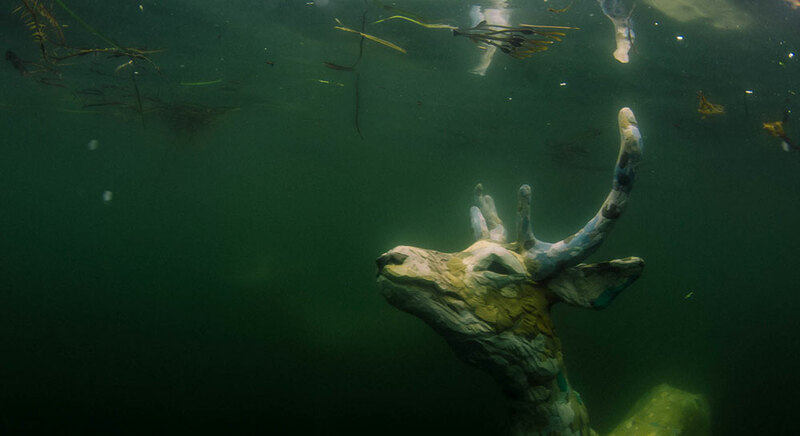 This scene will evolve as the tide moves in; to a view of the partially submerged deer swimming – striking a vivid image of urgency and survival in the wake of rising sea levels. The deer, represented here as a pair of young bucks, have become a displaced species relegated to foraging the shore for their survival. Outfitted with stilts, they ‘make do’ amidst the setting of an abandoned piling field (a forest of former trees ) and the hulking modernity of enormous cruise ships docked at Ocean Gateway. The scene is both peaceful and precariously fragile. Having received permission from the city of Portland, TREAD is scheduled to be in the water from August to November (2019*). This represents my most ambitious project to date conceptually and technically. I’m working with an engineer to ensure the sculptures will survive the tides and weather. In my research to find the right material, most of the solutions are either too expensive (cast bronze) or toxic (fiberglass resins). Aves’ reputation for its durability and low toxicity are appealing for sure. The two deer will require a significant amount of Fixit Sculpt (as well as other costly structural materials). I estimate about 150 lbs. “In the space between imagination and reality is an attempt to better understand the human role in the natural world. This particular tale tells of the effects of rising seas and habitat encroachment.” — Andy Rosen.